A rich, vintage print and an excellent example of the pictorialist style. Mounted to thick paper with a debossed surrounding the print. Helen E. Miller (active 1920s-1930s) exhibited in the Annual Exhibition of Pictorial Photography at the Brooklyn Institute of Arts and Sciences, 1928 to 1931. Some minor silvering; very minor abrasions at the edges of the mounted print; the mounting paper has glue stains, not affecting the print; otherwise, excellent. 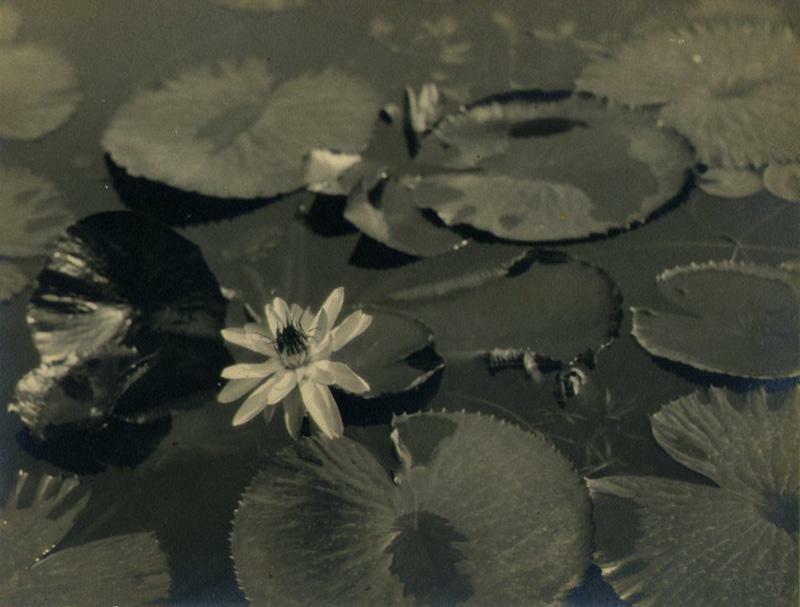 Items Similar To "Pictorailist image: Lilly Pond"